(pronounced [ˈzaltsˌbʊɐ̯k]; Austro-Bavarian: Såizburg; Italian: Salisburghese) is a state (Land) of Austria. 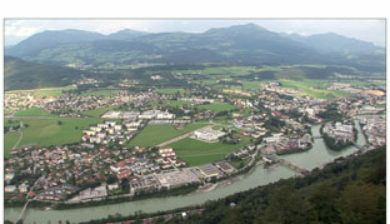 It is officially named Land Salzburg, colloquially Salzburgerland, to distinguish it from its eponymous capital, the City of Salzburg. By its centuries-long history as an independent Prince-Bishopric, Salzburg’s tradition differs from the other Austrian lands. The Austrian state of Salzburg stretches along its primary river, the Salzach running from the Central Eastern Alps in the south – reaching a height of 3,657 metres (11,998 ft) at the mountain Großvenediger – down into the Alpine foothills in the north, with an area of 7,156 km2 (2,763 sq mi). It is located in the north of the country, close to the border with the German state of Bavaria. It is surrounded by the Austrian lands of Upper Austria in the northeast, by Styria in the east, by Carinthia in the south as well as by Tyrol, South Tyrol (Italy) and East Tyrol in the southwest. With 529,085 inhabitants, it is one of the country’s smaller states in terms of population. Running through the south are the main ranges of the Alpine divide (incl. the Hohe Tauern mountains) with numerous three-thousanders. The Dachsteinmassif and the Berchtesgaden Alps ranges of the Northern Limestone Alps border Salzburg Land to the east and north.